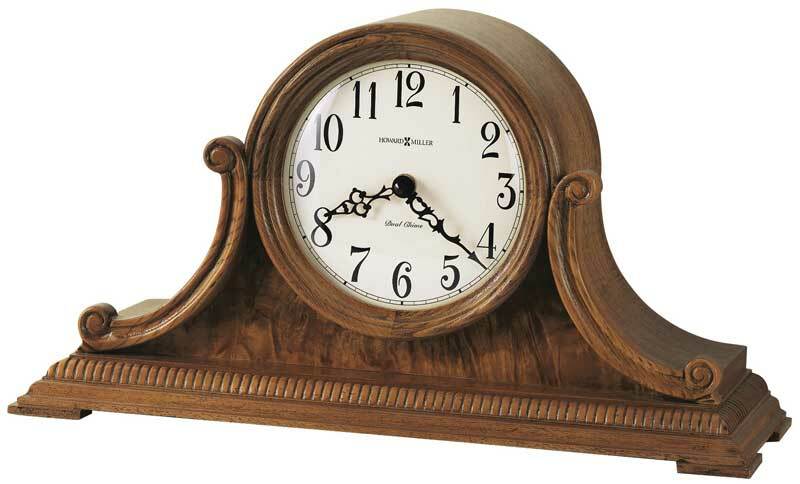 Howard Miller 635-113 Anthony 77th Anniversary Edition tambour mantel clock. A beaded wood molding surrounds the base, accenting the carved side scrolls and an exotic burl front panel. The convex glass crystal eliminates glare across the dial. The aged dial offers black Arabic numerals, black serpentine hour and minute hands. Finished in Oak Yorkshire on select hardwoods and veneers. 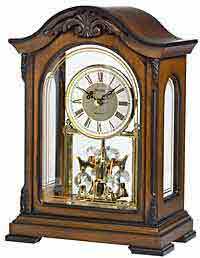 Quartz, dual chime movement plays either quarter hour or hourly Westminster and Ave Maria chimes. Chime volume control and automatic nighttime chime shut-off switch. Powered by 2 "C" batteries. Size: Height 8-1/2 Width 15-3/4 Depth 5-1/4. 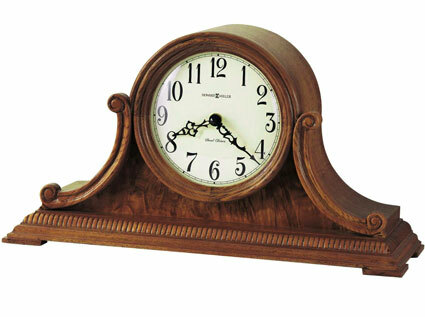 Clocks for sale at The Clock Depot including the 635-113 at discount prices.